Rome. Florence. Venice. These Italian cities get the limelight, and with good reason; they are beautiful destinations with a ton to see and do. But they’re also inundated with tourists. Venice is even considering limiting hotel rooms to halt the influx of travelers into the sinking city. Now, I’m not suggesting you skip any of them, but there are other gems to explore in Italy. Clean, sandy beaches abut the Adriatic Sea in Le Marche. Take Le Marche, a quaint region nestled along the Adriatic Sea brimming with greenery and clean, sandy beaches. Participants on our English Conversation Coach and School Teaching Assistant Italy programs live with welcoming host families in towns peppering the coast, such as Civitanova Marche, Fermo, and Porto Sant’Elpidio, as well as inland hilltop towns like Macerata. 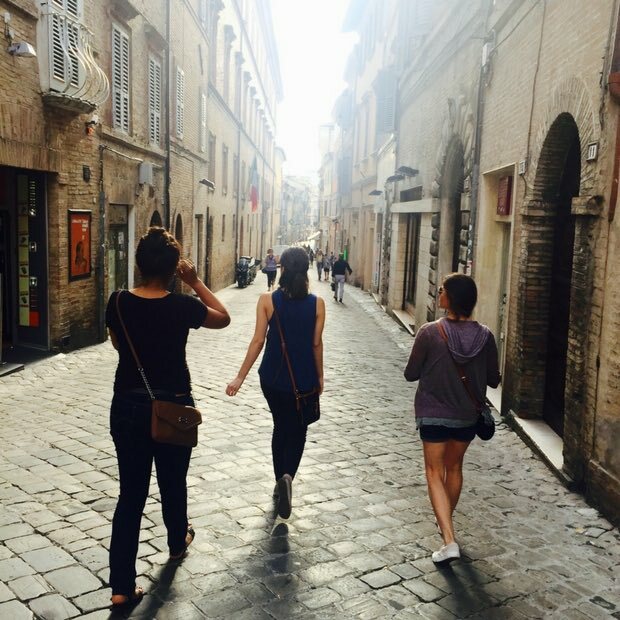 Enjoying a stroll along a Macerata street. It’s only 3.5 hours from Rome. You can take a bus (20 to 25 €, one way) directly from Rome Fiumicino Airport. With signs in Italian and English, navigating to the proper terminal is easy. Buses are comfortable, with luggage storage on the bottom that drivers load for passengers. Many are furnished with a restroom, and if not, drivers make periodic stops. 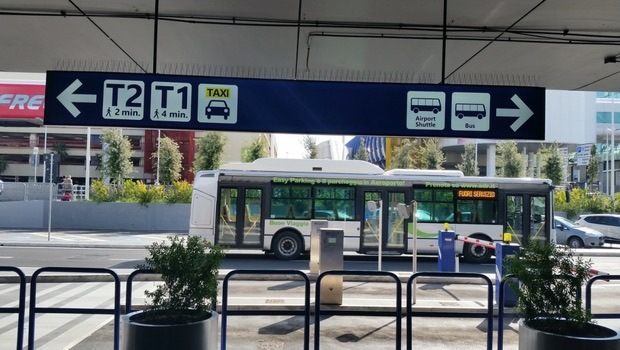 Navigating to buses outside Rome Fiumicino Airport is easy! You can also fly directly to Marche’s three-gate airport. The flight from Rome is about 50 minutes. Seaside villages line the coast. 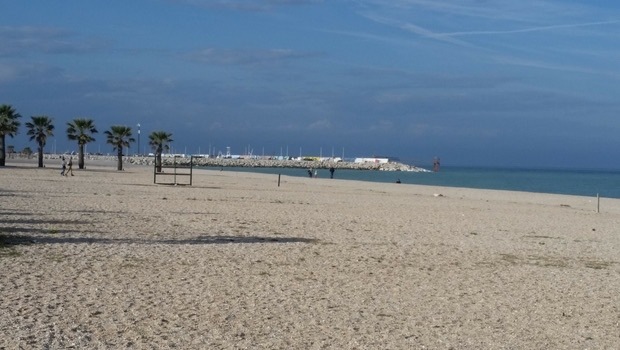 I stayed in lovely Civitanova Marche, a charming town on the Adriatic Coast. A beautiful beach-side walkway in Civitanova Marche. 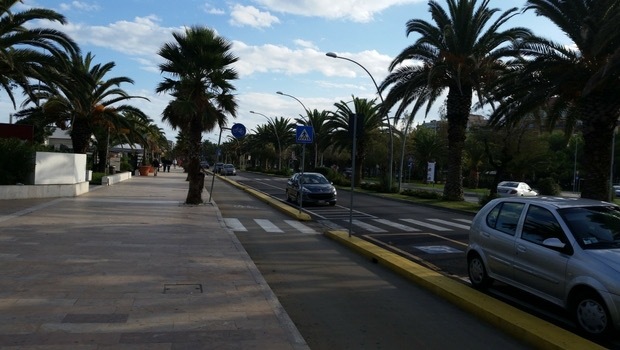 Locals walk and bike the palm tree-lined promenade. A center strip in town houses coffee and gelato shops, clothing boutiques, and my favorite: pizza stalls, which are open in late afternoon and early evening while most restaurants prep for an 8 p.m. opening. I ordered one of each of these delicious pizzas! The hills are alive with the sound of music. Seriously. 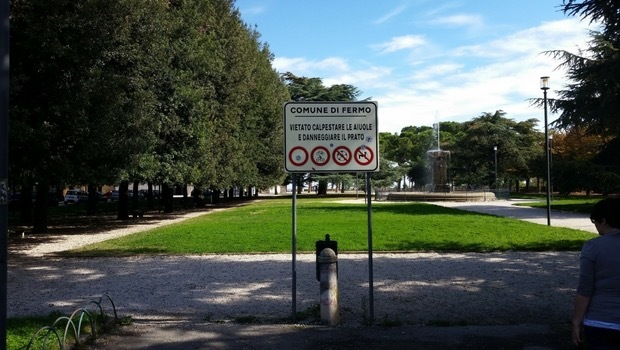 InterExchange's Italian partner brought me to Girfalco Park, a serene space elevated above a stretch of green in the town of Fermo. It’s a favorite gathering spot for families in the summer, with refreshing breezes and a calming fountain. A snapshot of Girfalco Park in Fermo, Le Marche. In addition to a cathedral on the grounds, there is a church shrouded in pine and cedar trees to the left of the park. While visiting, a woman's lovely soprano voice reverberated across the landscape. I truly expected Fräulein Maria to come spinning into view, her arms outstretched and skirt billowing! Marche is safe and lacks the chaos of big cities. Le Marche is a refreshing retreat from the car- and scooter-clogged roads that populate many Italian cities. 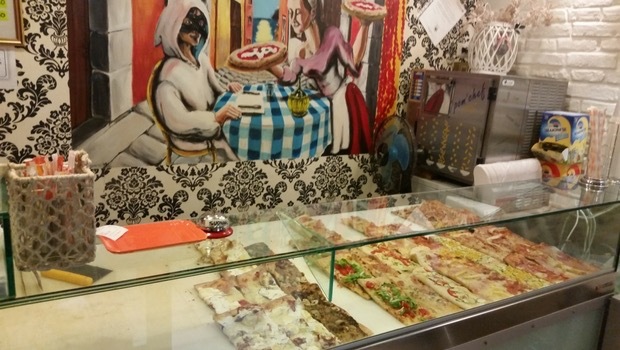 I spent a week in Naples after visiting Le Marche, and though I enjoyed my stay, I was not fond of the constant smell of motorbike petrol or the hordes of riders too close for comfort. 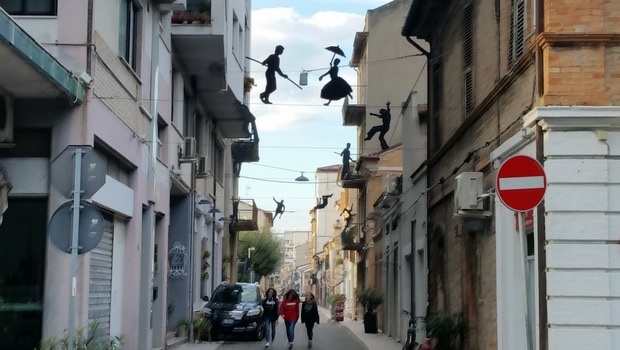 You'll find the streets in Civitanova Marche are peaceful. Le Marche is mostly free from the pollution and crowds ubiquitous to metropolitan centers, and it’s considered one of the safest areas in Italy. If you’re interested in living with locals and experiencing everyday Italian life sans tourist traps, InterExchange’s Le Marche-based programs are wonderful options!